5 ltr., 10 ltr., 20 ltr., 25 ltr., 35 ltr., 210 ltr. Coal remover effectively loose combined deposits of coal. 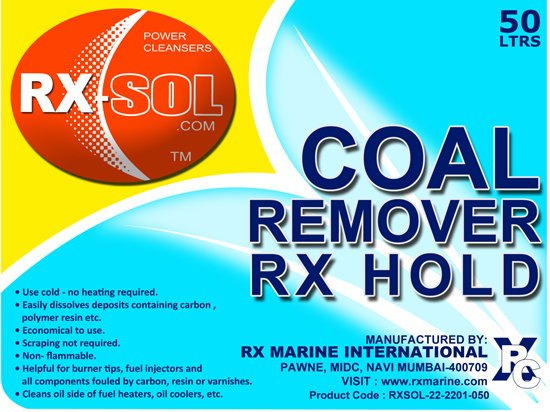 “RXSOL-22-2201” is completely safe to handle, being non-toxic & non corrosive.As with all chemicals general safety and handling procedures apply. Avoid contact with eyes as irritation may occur. Do not take internally. In case of contact with eyes, flush eyes immediately and cupiously with clean running water for 15- minutes and seek medical attention. Tips for general cleaning of Cargo Holds. 1st step is Manual Cleaning: First of all try to remove all loose / deposited cargo, live & dead insect & weevils from Holds frames, beams, girders, and other structure by manual swiping or air blown pressure method. This step not only help to consume less clean requirement but also loose debris cargo materials can mess entire surface with contact of a liquid solution, further can kill more time. 2nd Step is Inspection: After following the 1st method of manual cleaning try to remove loose rust/paint skin from the metal surface, For this step Metal Brite Rust remover and paint remover can save more time other than manual scraping cleaning methods. As we observe that only 25 ltrs to 50 Ltrs of Metal brite is sufficient to complete this step of cleaning of Bulkheads, upper and lower hopper spaces, underneath of Hatch Covers and the tank top. 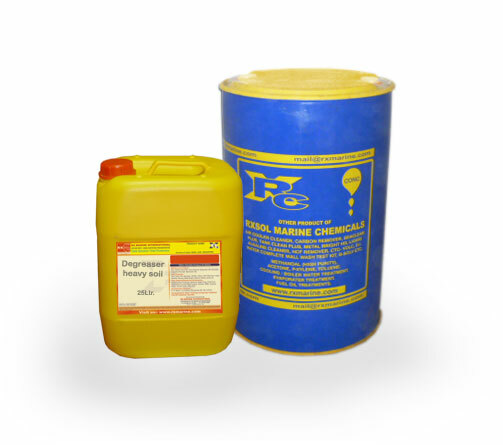 3rd step is for Wise Decision for selection of suitable cleaner : Then apply selected hold cleaning agent like aquatuff, hold brite, Alkaclean, Coal Remover, Cement remover, Hodwash, Rock Phosphate cleaner, HBI cleaning agent, Sodium Hypo, Muriatic Acid, Citric Acid, Fore and Aft, PCS hold cleaner, Teepol and other detergent cleaners. Before selection of any cargo hold cleaning detergent understand chemical property of cleaner and actual requirement, For example, if cargo is lime then Lime Remover can works better then Aquatuff. As lime contains alkaline component when it comes in contact with moisture, solidification starts which becomes hard solid deposition. 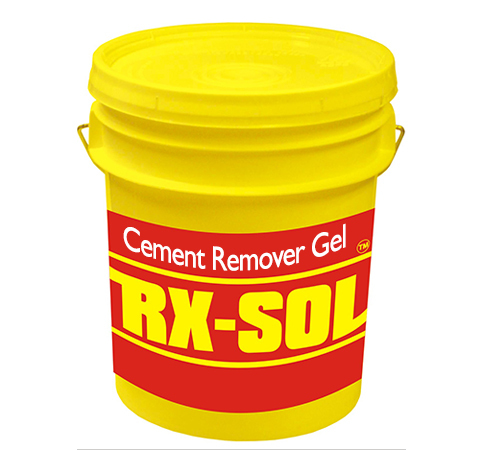 The hard solid lime deposit can be easily broken in to lose muddy mass by application of RXSOL LIME WASH, Its chemical formula is effectively neutralized alkaline content of LIME. 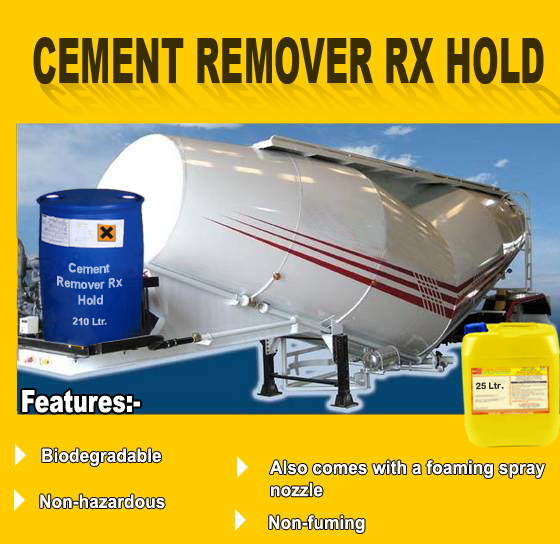 Similarly, cement remover, Coal Remover and other specialized hold cleaner contain specialized materials to work fast on specific cargo. 4th step is for Bilge Area: Bilge covers should be cleaned of any cargo residues. Check each and every drain hole should be open and Bilge cover must be covered with BURLAP, not with plastic or other watertight materials ( for ready reference pl. click here ). And Bilge tank should be cleaned and odour free by using suitable detergent with deodorizer and antibacterial properties. Chemically ppm level of potassium permanganate can play best role which is not only disinfected surface but also can deodorize the tank.